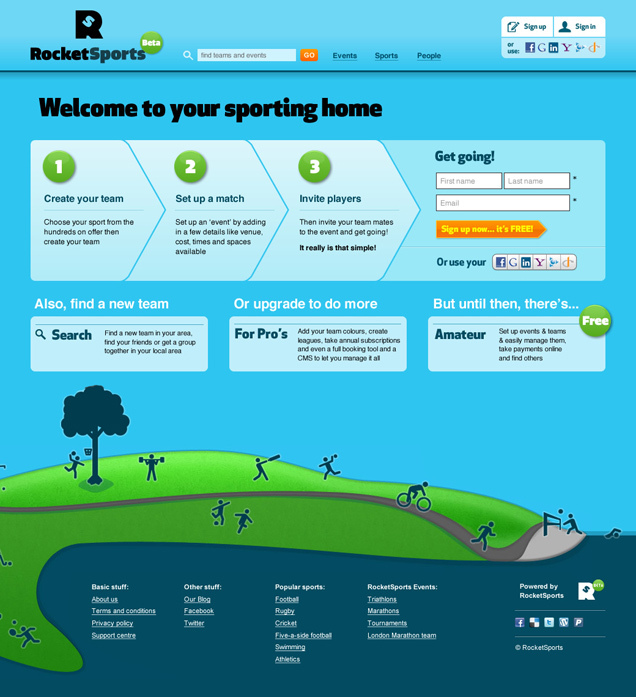 Since the summer of 2010 we have been working closely with RocketSports to help them deliver a brilliant solution to the British (and the rest of the world’s) amateur sports enthusiasts. Solving a problem by using technology to make the job of organising sporting events, such as weekly games of football, squash, rugby, tennis, cricket and so on. The problem is managers forced to use disparate channels to contact their team’s “squad” to arrange a weekly game, with organisers ending up with text messages and emails accepting or declining invites, combined with phone calls and not to mention the headache of trying to get money out of participants on the night of the game (event). The website allows organisers to create an online hub for their teams, bringing in social media, online payment options and much more. The site looks set to revolutionise and greatly simplify the way we arrange our sports participation in the UK.